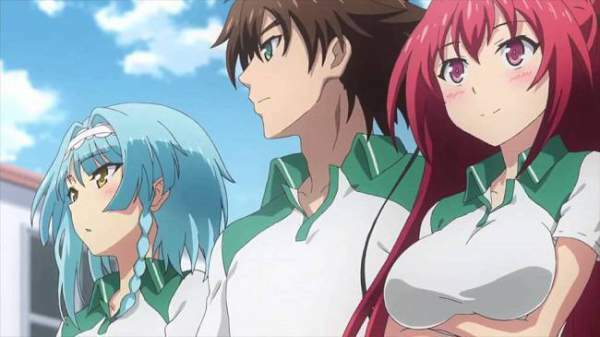 Shinmai Maou No Testament Season 3: The Testament of Sister New Devil is coming back with a new season (3). SMNT / ToSND is an action anime series based on the Japanese light novel series with the same name written by Tetsuto Uesu. Season1 of the anime ran from January 7, 2015, to March 25, 2015. The first installment was distributed over 12 episodes. After receiving a good watch for the anime, next installment was filmed. Season 2 premiered on October 9, 2015, and ran till December 11, 2015, as TToSND Burst. Further, it included 10 episodes. Firstly, the launch of the anime was captured on Tokyo MX. Later, it was shown on some other Japanese channels. Crunchyroll licensed the anime for telecast in North American territories. The audience is eagerly waiting for the SMnT season 3. The second installment for the anime took the run within less time after s1 concluded. It got huge ratings and viewership which arose the thought of scripting another installment for the same. In the coming time, viewers hoped to see Season3 by 2017 but it didn’t happen. The story revolves around Toujo Basara, a first-year high school student studying at Hijirigasaka Academy. All of a sudden, his father gets remarried and asks him whether he wants a sister. Then, his father adopts two daughters. Basara was now with her two stepsisters, Mio Naruse and Maria Naruse. He then realized that the two were newbie Demon Lord and a succubus. Now, a turning point comes in his life. After knowing Mio and Maria’s identity, he has to safeguard him and his sisters from the attacks by demons. Season2 came with new plans and strategies formed by Basara in order to become a fighter against the attacks. During the journey, Maria’s sister Rukia enter the series with the feeling of revenge against Mio. Check: American Gods season 2. The news hub and updates reveal that the series has faced no cancellation so far. It possibly raises the chances of season 3 premiere. However, there has been no official word about it. The first two seasons were adapted from the first four light novel volumes. So, there are six more left to it. There is enough manga material to be adapted into the anime, but fans are still waiting for it for 3 years now. On February 1, 2017, a new volume for the novel series came into existence. This will further show hints to the writers of the anime series for making additions in the plot. Probably, The Testament of Sister New Devil season 3 will be aired at the beginning of 2019. Stay tuned to TheReporterTimes for more anime updates.